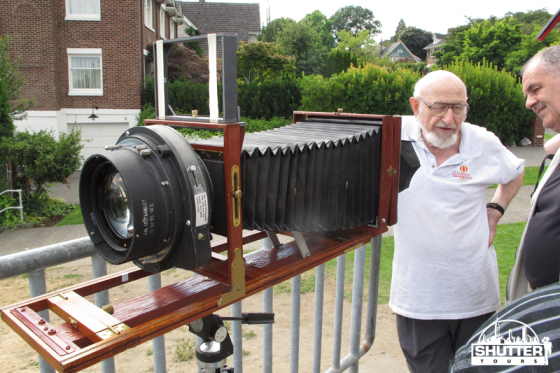 Sunday on our final stop on our Snoqualmie driving tour, we ran across Ray Meuse who had set up his 8×10 large format camera to shoot the Seattle Skyline. His camera is a hybrid of pieces he built on his own. The lens is from an aerial photography camera with an aperture of f/6. He also designed his own shutter mechanism. You never know what great things you’ll see on our tours.